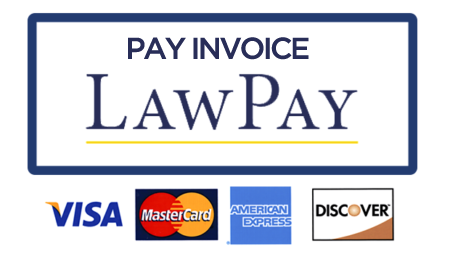 In addition to all other forms of payment, Alderman & Alderman has partnered with LawPay, to accept credit card payments as a convenient option for our clients. LawPay utilizes the latest security protocols to ensure that your credit card transactions are safe and secure. Please note that this service is for existing clients only. If a payment cannot be matched to an existing account, we will reject the charge. The only way you can secure legal representation by one of our lawyers is by receipt of an executed engagement letter or agreement by an authorized representative of our firm.